Hello all! I'm back!! How are you? Recently I had a chance to try a new product from the famous Korean brand “HERA” thanks to SampleStore and I would like to share my review with you! HERA, the leading luxury K-Beauty brand, aims to spread the special unique charm of modern Korean women. Seoulista is the muse of HERA, representing the exceptional beauty of modern Korean women who are fashionable, elegant, confident and passionate. They are the style icon of K-Beauty as well as the beauty messenger leading trends in Asia. The brand is fronted by Korean actress, Gianna Jun and Jennie Kim from Blackpink o As we age, we experience a number of skin aging problems including dry, tight, and rough skin with gradual build-up of dead skin cells. This is no simple dryness in skin, but the aging of skin’s constitution. It expands for one area to the entire face, and it is call “Skin Desertification”. Many people have misconception when it comes to dry skin. Simple dry skin lacks water; the solution is to provide water. Desertified skin on the other hand does not lack water but the “power to hold water”; that’s when irrigation facilities play a big part. You must be thinking what do you do with desertified skin? Well goodnews! 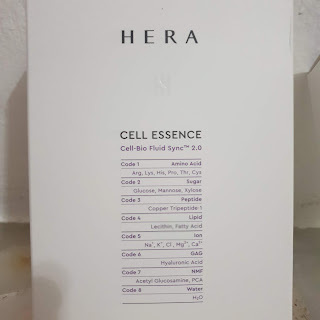 Now we can activate and vitalize desertified skin with HERA Cell Essence Cell-Bio Fluid Sync 2.0. 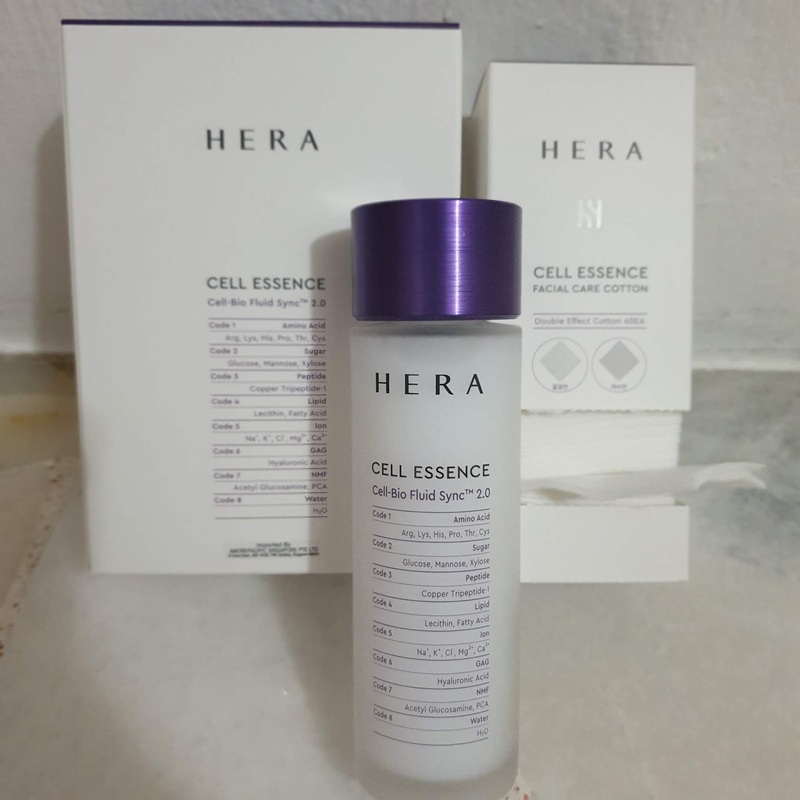 HERA Cell Essence is a pre- water essence that prevents “skin desertification” and moisturises skin for a bright, dewy complexion, also known as the “Glass Skin” Suitable for all skin types. It contains Cell-Bio Fluid Sync™ 2.0 • A “Body Fluid Planting System” that fills and locks in body fluid. 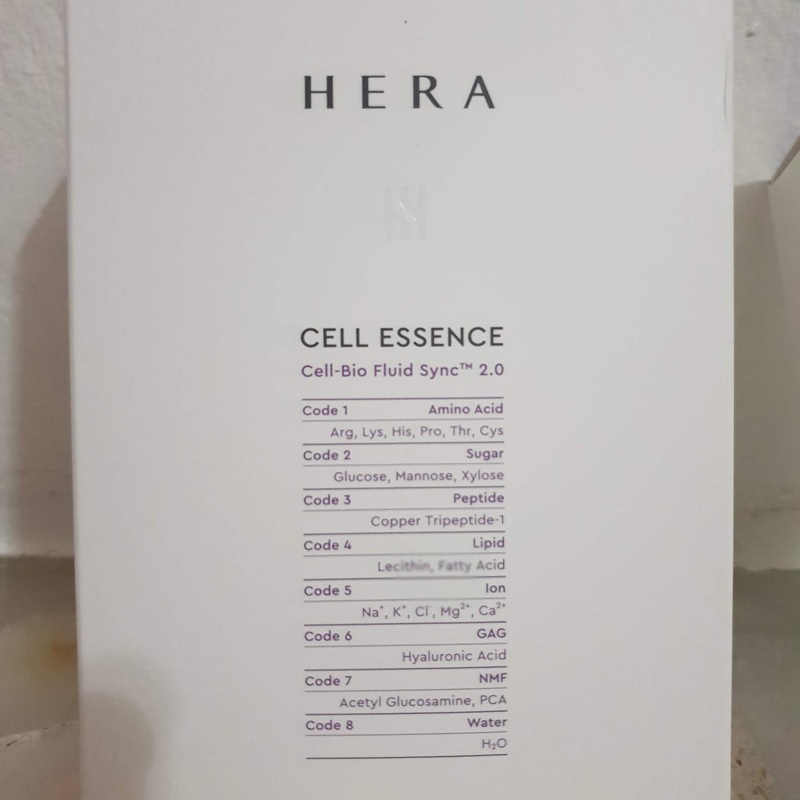 With strong skin-activating ingredients that reinforce skin’s sources, this is a further upgraded version from Cell-Bio Fluid Sync™ featuring more innovative technology that enables maintenance and activation energy in skin with 8 Skin Cell Activators. I used this twice daily with 2 steps. In the morning I just tapped the essence lightly onto my face with my hands then continue my day feeling awake and refreshed! 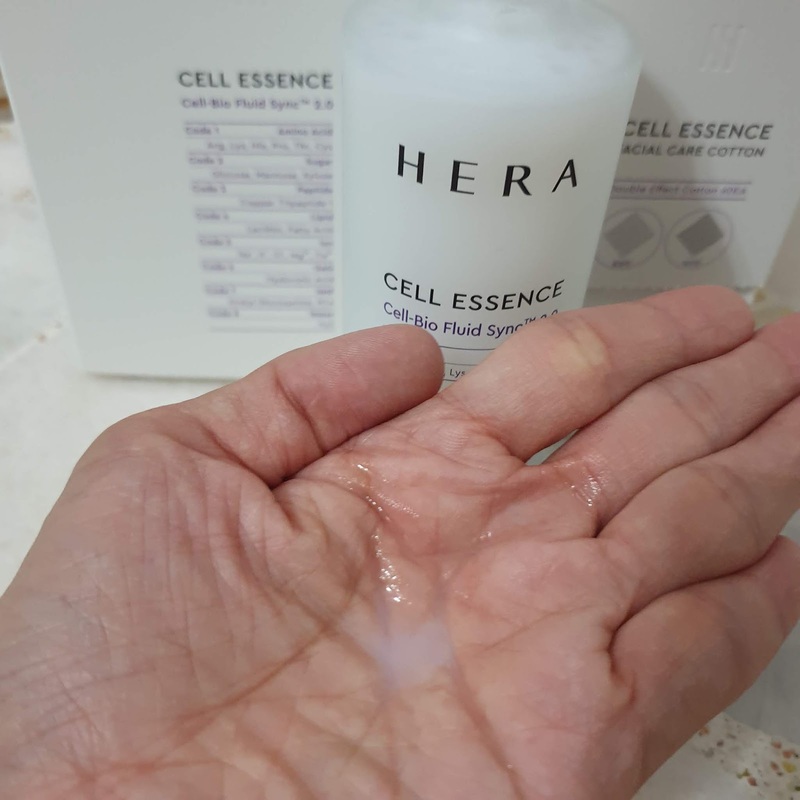 Once I reached home in the evening, after face wash I clean my face using HERA’s Double-Effect Facial Cotton Pad. 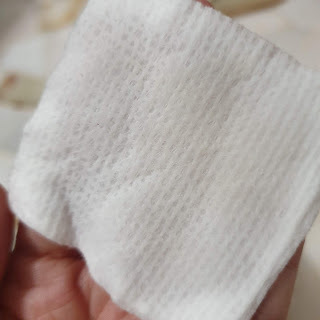 There’s 2 side with the Facial cotton pad provided by them. It's recommended to use around 2.5ml per session. I felt that I have achieved glass skin in just 6 days! 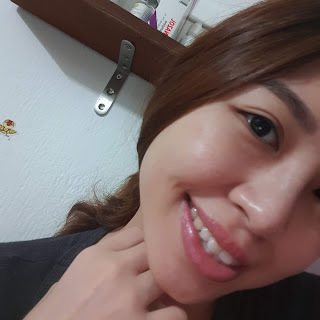 My glowing face after using the Cell Essence without filter nor makeup!